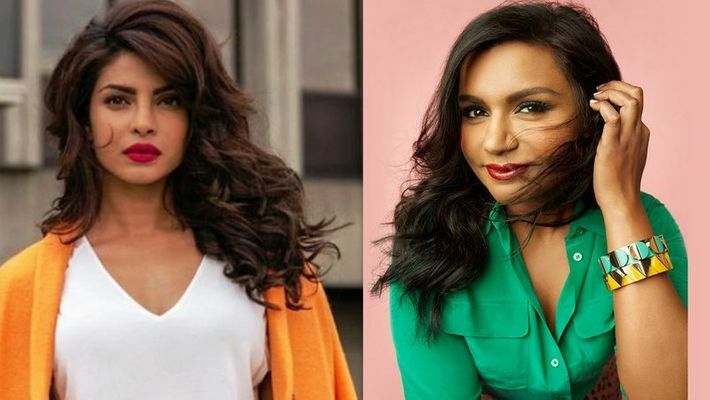 Actors Priyanka Chopra and Mindy Kaling are set to collaborate on a film that is reportedly about a big, fat Indian wedding in an American setup. New Delhi: Looks like actor Priyanka Chopra has not had her fill of the drama that ensues in an Indian wedding. Chopra caused quite a stir with her grand royal Indian wedding to singer Nick Jonas in Udaipur and is now ready to do it all over again on the silver screen. This time her partner-in-crime is none other than Mindy Kaling. According to Deadline reports, Chopra and Kaling are all set to collaborate on a film, the rights of which were won in an auction by Universal Studio. The two will produce and star in the movie too. Meanwhile, Dan Goor of Brooklyn Nine-Nine fame will be writing the film along with Kaling. PeeCee even took to Instagram to share the news, captioning the post: Two women with a passion for telling good stories, just got the green light to their story their way. So proud of this incredible partnership with Mindy Kaling and Dan Goor! We are about to show you what it means to be modern, global, and Indian. See you at the cinema! The film is reportedly being described as a mix of Crazy, Rich Asians and My Big Fat Greek Wedding. Well, we wonder if PeeCee would use the gorgeous footage from her own royal Indian wedding. The couple tied the knot in December last year in two lavish ceremonies, Hindu and Christian, in Jodhpur, and also hosted two grand receptions. Their wedding festivities also went the animation route. PeeCee took to Instagram to share images of the wedding in which the duo look like characters from hit American show, The Simpsons. Web artist Rino Russo, known for 'Simpsonizing' real-life images, is the man behind the Hindu wedding artwork.